Saratoga Springs, New York feels like a bustling miniature New York City with its downtown atmosphere, surrounded by pristine historic neighborhoods with quiet tree lined streets and charming alleyways. 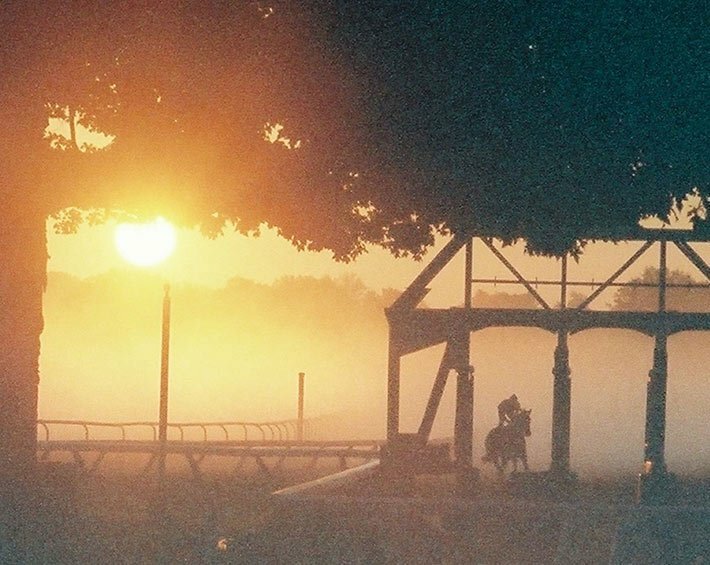 Voted one of the Best Main Streets by Yahoo in 2014, Saratoga Springs offers excitement in Horse Racing, Sporting events and nightlife to the wonderful array of culinary restaurants, relaxation and rejuvenation from Spas and boutique shopping. Saratoga has a history of bringing Health to its visitors from its waters, by artesian spring waters to the array of effervescent mineral water spouts found in Town and in the Spa State Park. Each artesian or mineral Spring has different mineral components for specific health benefits and guests can also enjoy a soak in a mineral bath at the Spa, where they pamper you with other Spa services to further enhance the Healthy benefit from the natural waters. Historic Tours, Ghost tours and ‘Taste the Water’ tours can be found around Saratoga to delve into the history behind it all. There is something for everyone to experience in Saratoga Springs, from luxurious Spas, to boutique shopping at its best, to the wonderful restaurants of fine dining, casual outdoor seating in cafes along Broadway to the side streets in Downtown, sporting events such as Crew rowing events on Saratoga Lake, Benefit Runs and Walks happening weekly during the Spring, Summer and Fall months, Hunter-Jumper horse Shows, Dressage, Polo and Horse Racing and Sulky Riders at the Saratoga Casino and Raceway. The area is alive with culture of Theater, Ballet (Saratoga is the summer home of the New York City Ballet), Orchestra and Opera. Museums include the National Museum of Dance, Automobile Museum, Horse Racing Museum, Military Museum, Canfield Casino History Museum, Children’s Museum, and Art Galleries as well as an art District. Golf ranges are on either side of Saratoga Springs from the Saratoga National Golf Course to the Spa State Park Golf Range. 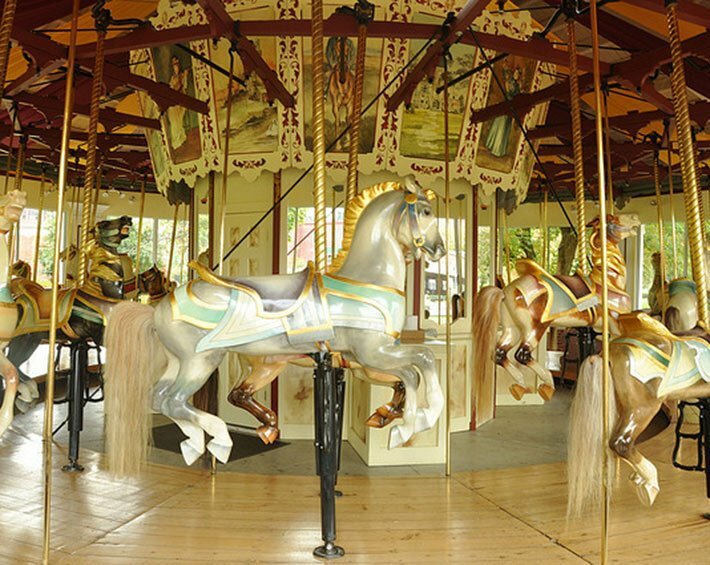 Beautiful parks can be found all around Saratoga from the Historic Congress Park, Saratoga Spa State Park with 1400 acres of trails, to a forested dog park, horse park, Yaddo (an artist retreat) garden park and the National Historical Battlefield Park. 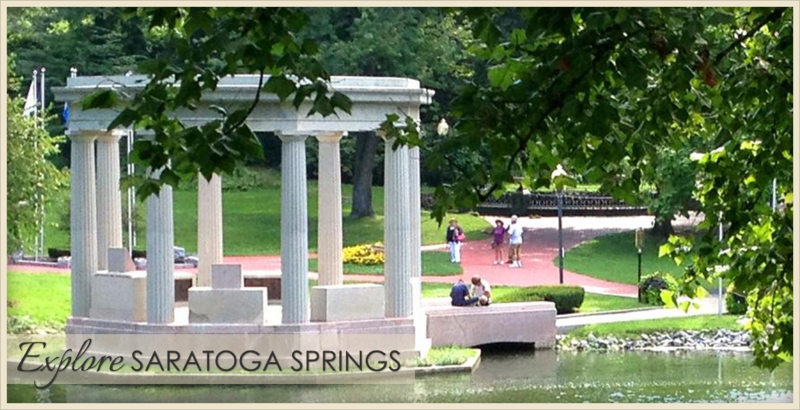 Saratoga Springs is historically known as the place to “Be Seen” when people would gather in the parks around the springs to meet other people, as this was a destination for love, as it still is today, as one of the largest wedding destination places in the U.S. Many people travel from surrounding areas because Saratoga Springs is centrally located between New York City and Montreal, and makes for a nice place to enjoy a weekend getaway. The Saratoga Performing Arts Center (SPAC) offers major outdoor concerts from Memorial Day through Labor Day, located adjacent to the Saratoga Spa State Park. The Downtown Saratoga streets come alive every summer with music on the streets, and the Historic Café Lena and 9 Maple have Folk, Jazz and Blues artists play on a regular basis. The special part about Saratoga Springs, is that the music, restaurants, spas, museums, galleries and parks are available to walk to and from each other, as well as within a couple blocks up to one mile radius from The Alexander House Luxury Residence Suites. Being Eco-Friendly becomes a lifestyle of enjoyment where you can take a break for driving from place to place or searching for a parking space. The Alexander House Luxury Residence Suites offers complimentary bicycles to enable you to be even more mobile with ease and enjoyment of the area. Enjoy a picnic in the park, bicycle ride through the Avenue of the Pines, rejuvenating Spa treatment and a romantic candle lit dinner all within footsteps from your front door during your stay in Saratoga Springs. The Adirondack Park and Lake George is a twenty-eight miles, or a 30 minute drive from Saratoga Springs. The Adirondack Park is a publicly protected, elliptical area encompassing much of the northeastern lobe (3,000 miles) of Upstate New York. Many high peaks, lakes, and beautiful views are recommended to explore in the Adirondack Park.